Allied Renewal is the division of Brown Packing Co., Inc. which processes the byproducts of the harvesting process and converts those products into animal feeds. We welcome you to visit us at www.allied-renewal.com to learn more about Allied Renewal. 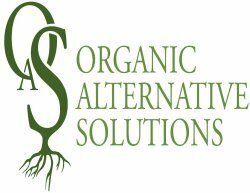 Organic Alternative Solutions is the division of Brown Packing Co., Inc. which processes the cattle manure from our barns and harvest process. The division provides a line of fine products to the lawn care and construction industry. Some of the products we make include compost, mulch, topsoil, and other customer specialty blends of product.